Have you found your dream home but not a fan of having flat roofs for fear that they may be expensive and difficult to maintain, leaky, and a nightmare during heavy snowfall? 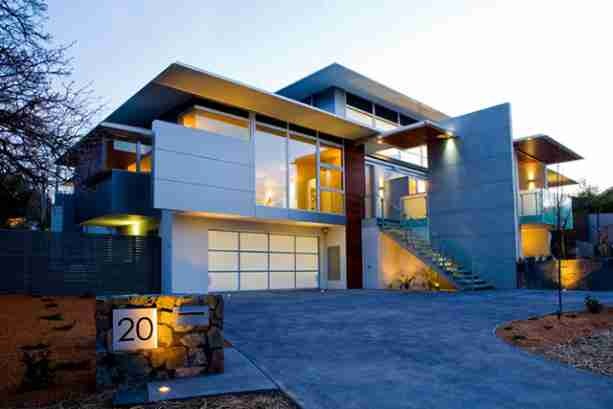 Then you are missing out on one of the best architectural designs since the dawn of time. We’ve compiled a list of the commonly held myths for flat roofs and debunked them to shed light on why going for a home with a flat roof may just be one of the best home decisions you’ll ever make. Any type of roof can leak but a flat roof has built-in features that make it just as able as any other type of roof to drain water. Contrary to what most people think, flat roofs are not truly flat. They actually have a slope to them that’s just not very noticeable to the untrained eye. Your architect will put in enough slope plus the right number of drainage to make sure that rain will drain off and not leak inside the home. If you’re buying a house, then just taking a look at the plans with a builder or an architect should allay any worries you might have about leaks. Although this is a very common (and valid) concern, flat roofs are designed by architects and engineers in such a way that excess weight will be evenly distributed and supported. Keep in mind that roofs are built to withstand a variety of factors plus your home’s structure has been meticulously calculated to be able to bear the weight of occupants, furniture, strong winds, and even seismic movement. There really is no real reason to worry that flat roofs will not be able to withstand winters just like steep roofs so go ahead and build yourself a flat-roofed home wherever you may be! We’ve already addressed this in the first myth but let’s expound a little bit more. Flat roofs are only ‘nearly’ or ‘almost’ flat. They come with a built-in pitch that allows them to shed water efficiently. As for draining water, your architect will plan out the number of drains needed that’s usually determined depending on your roof’s square footage. The actual cost of your flat roof will, of course, depend on a variety of factors, the most prominent of which are your roof’s to-be surface area and what material you’re planning to use. However, if you will be trying to build a steep roof with the same materials and then comparing the cost, the flat roof will come out cheaper because it wastes less material compared to other roofs. The bonus part is that keeping a home with a flat roof warm during cold days will require less energy because there’s no area under the slope that you’ll need to heat. Flat roofs are actually very cost efficient. All in all, the key to having a home with a flat roof and having no issues with it is to start with proper planning. Get an architect that knows how to do flat roofs right. Yearly maintenance is pretty standard same as with other types of roofs so this shouldn’t be an issue. Armed with this knowledge and knowing where to look for help in making your flat roof home a reality, you’ll surely make it work for you! Feeling inspired to find a lot for building your home? Or do you want to find a flat-roofed home in Oakville? Contact us today so we can assist you in finding the perfect home for you soon!